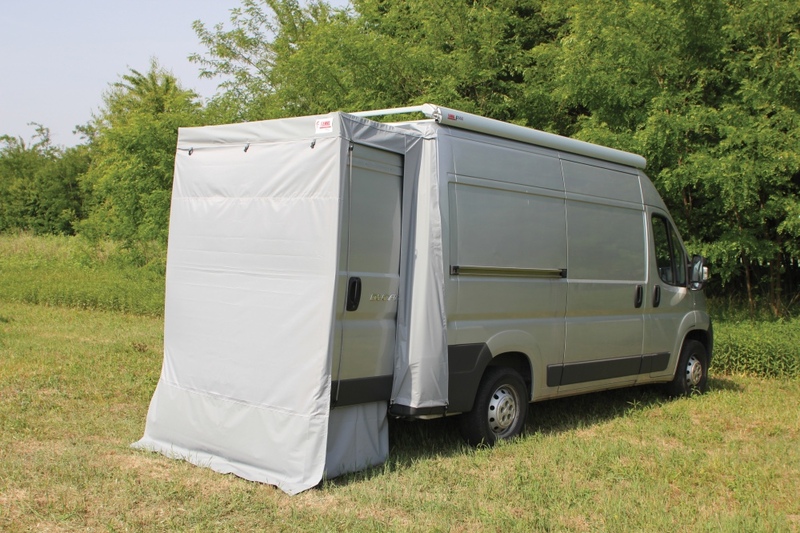 Enclosure for the rear doors of Fiat Ducato, Citroën Jumper and Peugeot Boxer high roof after 06/2006 and Mercedes Sprinter high roof after 2006 (before 2008). Quick to install, supplied with side panels and front enclosure that can be rolled up. Rear Door Cover grants you more privacy. The upper rafter and rail keep the fabric tight. 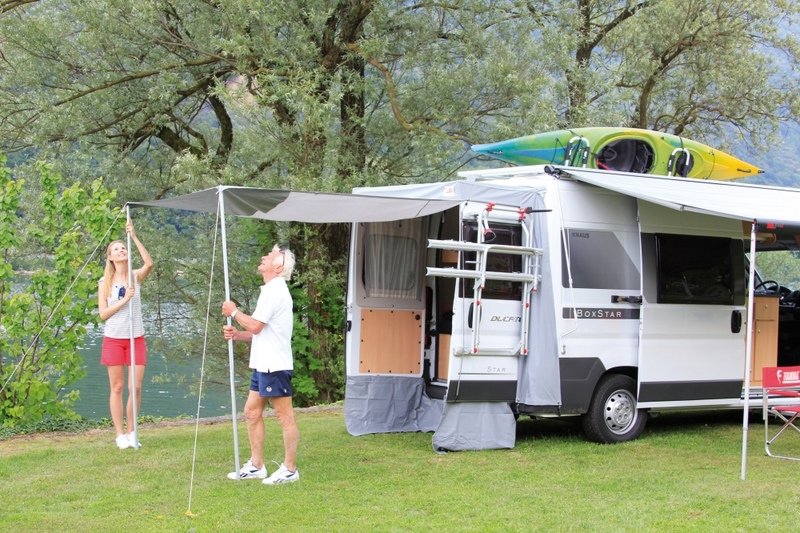 The double rail is attached to the water gutter of the Ducato, the aluminium rafter secures the opening of the two rear doors, keeping the fabric tight. The door can be rolled up.